Quality beauty or skincare products can be expensive and difficult to find. However, with a beauty subscription box like Julep, you can easily receive a couple of full-size products each month for a fairly low price! 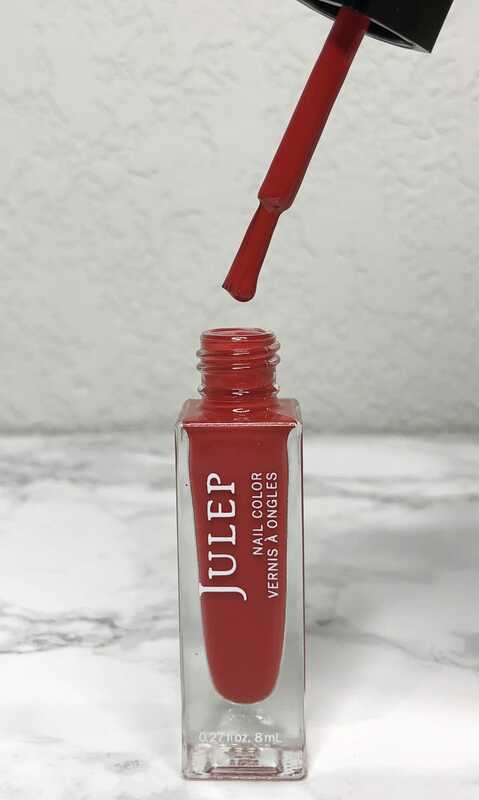 I’ve found that Julep (as well as a few other beauty subscription boxes I subscribe to) is a great substitute for the time-consuming task of shopping for beauty products. A unique aspect of this subscription is that their boxes only contain products from their own brand. Many other beauty boxes provide a variety of different brands, which is nice for trying out new products, but you never know if the products will be of good quality. Julep products are definitely high quality—I fell in love with the items I received in my previous boxes because of this. Not only that, but everything they include is full sized and lasts a long time! They have a great selection, as well as fantastic deals for new members, which I’ll be detailing more about below. That said, this Julep review shares my November box, how to get your first box for free, and similar beauty subscription boxes! After missing a couple of Julep boxes due to shipping and payment issues, I finally received another one! I’ve been wanting to add more nail polishes to my collection, so I switched my box preferences to just nail polish this month. Although you’re able to specifically select which particular products and shades you’d like each month, I preferred to leave this part a surprise. I received three nail polishes and one extra item in my box—I’ll be sharing each below! This dark olive shimmery shade was beautiful! It’s the perfect shade for the fall and winter seasons. I’d say this color was my favorite Julep nail polish so far. The last nail polish shade I got was this deep red shimmery color. The shimmer is gorgeous and it’s the perfect shade for Christmas! I love red nail polish, so I’m glad I got two very different shades of red in this box. I loved this light red, slightly pink shade as well. It has a matte finish, which is a great change from the other two shimmery shades I got. 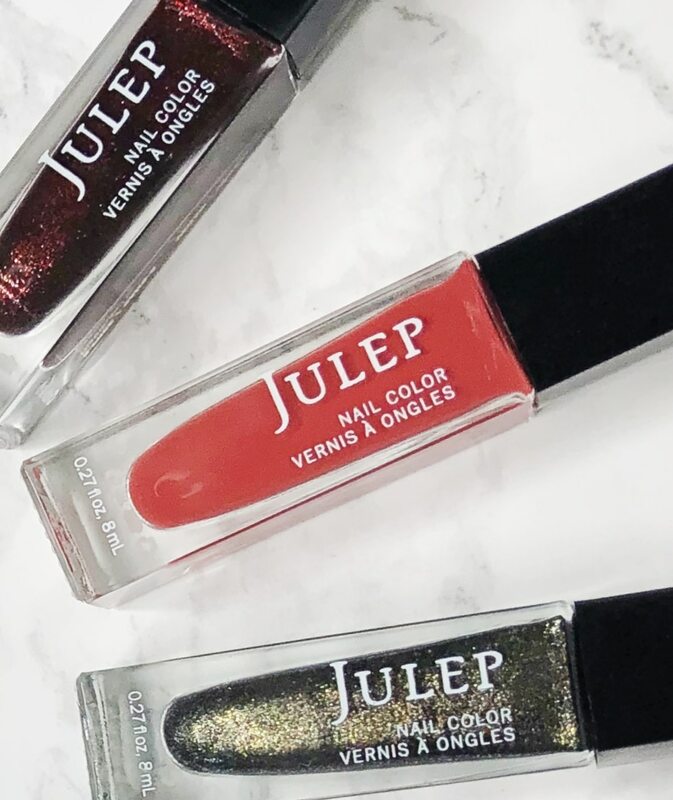 Not only are these Julep polishes beautiful, but they’re great quality! A couple of coats are perfect, plus they last a long time before chipping. They also dry quickly. In addition, their formula is 5-free (which means they don’t include certain harmful ingredients that some other nail polishes do) and vegan, and it contains extra antioxidants that help strengthen nails. 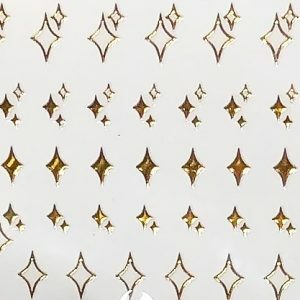 I’ve never received nail decals from Julep before – these were adorable! The gold color didn’t really fit with the nail polish shades I got, so I tried it with a different nail polish and it looked great. They were very simple to apply. Plus, they stayed on a long time. You might be glad to hear that Julep offers some of the best introductory deals that I’ve found! For one, they often offer your first box for free (you just need to pay for shipping) with the code JUST4YOU. If this offer isn’t available, they also offer full-size beauty or nail polish sets with any new subscription. These sets are impressive—one of them has twelve full-size nail polishes worth over $100! Beauty subscription boxes are one of the most popular types of subscription box on the market. If you’ve done your research, you know there are plenty to choose from! So I’ll be sharing a few others that I subscribe to and would recommend if Julep doesn’t seem like the right box for you. These two are very similar, so I mentioned both in this first comparison. 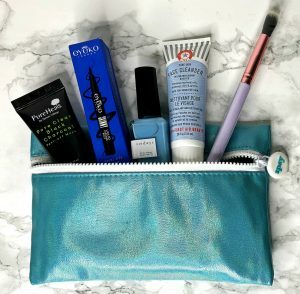 Both of these beauty subscription boxes provide 4–5 sample products each month rather than full-size products like Julep does. They’re also much cheaper at just $10 per month. These subscriptions are a great way to try new products while budgeting! If you’re set on full-size products, I’d recommend Boxycharm as well! This subscription is a little cheaper than Julep at $21 per month. As you can see in my Boxycharm reviews, they provide a variety of different brands (many of these are popular makeup brands). Their boxes are always worth over $100! The final box I wanted to recommend is FabFitFun. Although it’s a bit more spendy at $49.99 every three months (they provide seasonal boxes), it’s well worth the price. 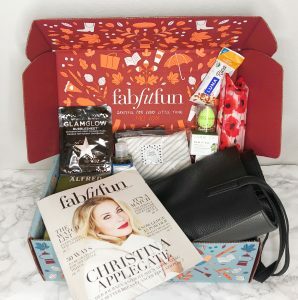 I’ve received over $300 worth of products in my previous FabFitFun boxes! They have a surprising amount of name-brand items in their boxes, plus you can try out a trial box for just $20. If you would like more recommendations, check out our list of over twenty of the best beauty subscription boxes! Once again, I was very happy with my Julep box. I got some beautiful nail polish shades that will last a long time. I also loved that the shades were so different from each other. That said, I’d definitely recommend this subscription if you’re considering it. Not only is their nail polish great, but their skincare and makeup lines are fantastic as well. With the deal to have your first box free (or free beauty/nail polish sets), there’s no reason not to try it out!